Join us for the Father and Son Run this November! 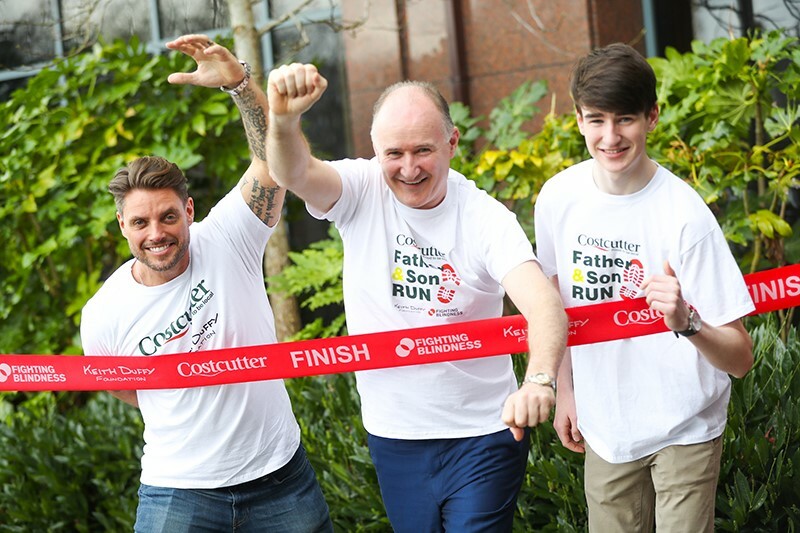 Join us for the inaugural Father and Son Run proudly sponsored by Costcutter! The Father and Son Run will take place on Sunday November 12 in St. Anne’s Park, Dublin in aid of Fighting Blindness. Sign up on active.com today, we’d love to have you on board! Best of luck to everyone taking part. The meeting point is the centre of St. Anne’s Park, less than 100m from Olive’s Rooms. Registration opens at 2pm where you can collect your t-shirt. Keith Duffy and Jim Barry are starting the run at 3pm. Don’t forget to collect your goodie bags at the finish line. Fighting Blindness is a small charity with a big mission – to cure, support and empower. Thanks to support like yours they give hope to the 246,773 people in Ireland living with severe vision impairment. Fighting Blindness funds vital vision research all over Ireland in the quest to find treatments and cures for blindness. They run an Insight Counselling Service which provides counselling and support to people affected by sight loss and their families. Sight is our most treasured sense and the thought of losing it naturally gives rise to feelings of fear and uncertainty. Since 2002 they have helped hundreds of people and families across Ireland affected by sight loss.